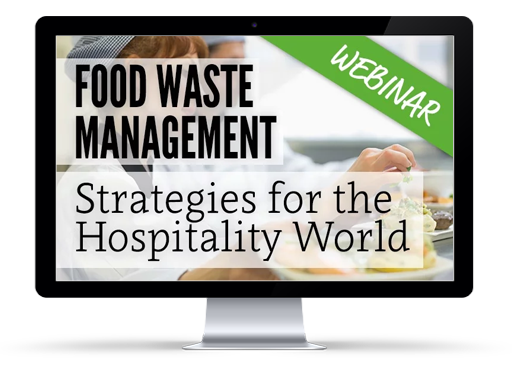 Wasted food: for many operators in the hospitality world, it's viewed as "just part of doing business." After all, guests expect bountiful buffets, big portions, and endless options. But savvy operators know that one of the best ways to boost their bottom line is to focus on where they are leaking profits. And most hotel and casino foodservice operations are throwing away 4 to 10 percent of the food they purchase as pre-consumer food waste. How can we address this critical issue? Join us to explore the answer to this question on April 7 when LeanPath Co-founder and CEO Andrew Shakman will present his session featured as part of the 2015 CIA Greystone Flavor Summit—"Food Waste Management: Strategies for the Hospitality World." He will delve into specific strategies you can employ immediately to start saving money and stop leaking profits at your operation.